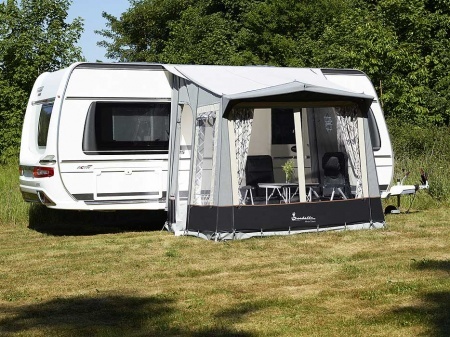 The Isabella Minor Dawn porch awning is ideal when you are not looking for a full size awning but just want to add that extra room to your caravan, with ease and speed. To add to the convenience appeal, the Minor Dawn comes with Isabella's lightweight CarbonX reinforced fibreglass poles. 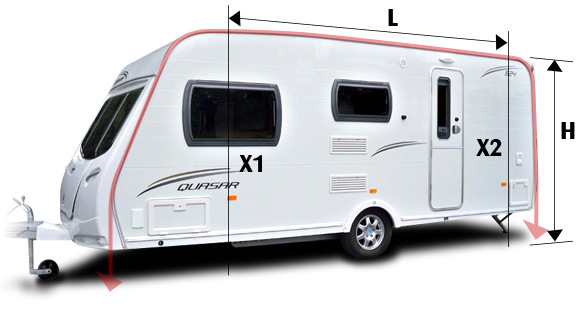 The Isabella Minor dawn is suitable for fitting to caravans that have a rail height of between 235cm and 250cm and is 2 metres deep and 2.6 metres wide. The single, large panoramic window in the front provides an excellent view out and ample natural light into the awning. It can be rolled down or the panel can be removed completely. Both side windows are provided with mosquito nets so you can open them without being concerned about letting insects into the porch. A full set of window curtains for privacy is of course included. For convenience there is a door either side of the porch awning. The Isabella Minor Dawn is made using Isabella's breathable light Isacryl and this helps to maintain a pleasant interior temperature and climate. 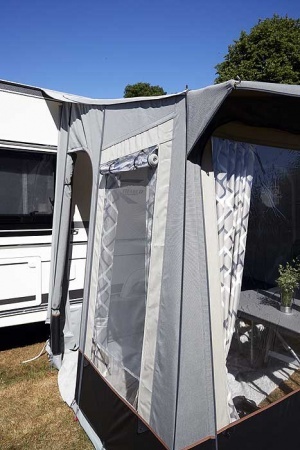 The Minor Dawn comes with a number of items as standard which include, a set of curtains, a draught skirt, a wheel arch cover, FixOn Multi, awning bag, pole and peg bags and a peg remover. Mosquito Net: A mosquito net is provided in both sides. Doors: There is a door in both the left and the right side of the awning. Supplied As Standard With: Set of curtains, Draught Skirt, Wheel Arch Cover, FixOn Multi, Awning Bag, Pole and Peg Bag, Peg remover. Canvas Material: Light Isacryl 260 g/m2 - Isacryl has the highest achievable fade-resistance thanks to the pigmentation method. The density of the weave plus the impregnation all the way through prevents water ingress. 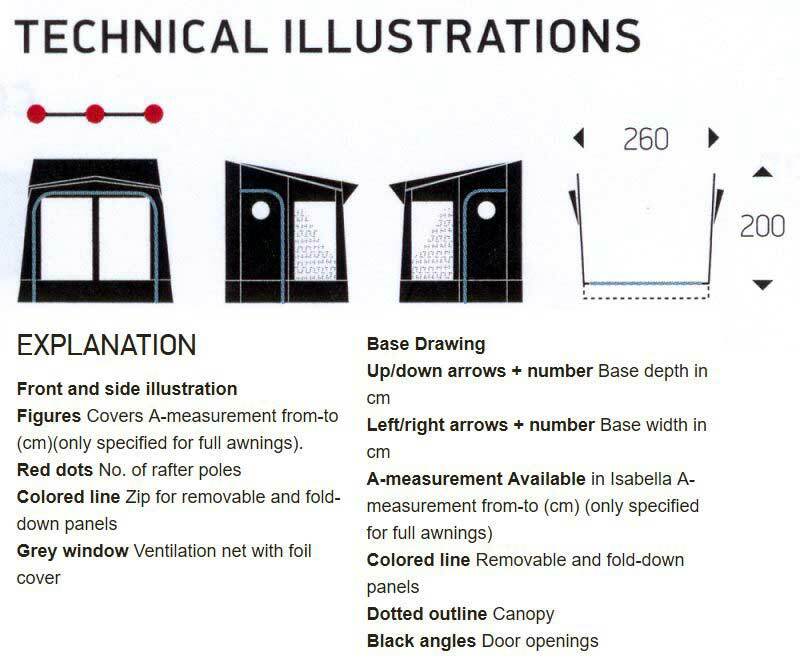 Nevertheless, Isacryl is a breathable material, which facilitates the best possible indoor climate in the awning. Roof Material: Isaroof Light 240 g/m2 - a UV protective acrylate-coated polyester, with an added top coat in 2 layers.